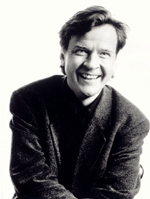 Magnus Lindberg will be the featured Festival Composer at the Bergen International Festival in Norway, May 24 - June 5. The festival will feature a special Lindberg portrait concert on June 3: Avanti! Chamber Orchestra and clarinettist Kari Kriikku will perform a programme featuring some of Lindberg's most performed chamber works. The Bergen Philharmonic Orchestra will perform the massive orchestral work Aura (In memoriam Witold Lutoslawski) on May 24. The festival includes music by a stellar line-up of composers, including Arne Nordheim, Michael Nyman, Kaija Saariaho, David Lang, Rolf Wallin, Tan Dun and Witold Lutoslawski.